Full-Time Rving through the USA and Canada since 2001 . . . 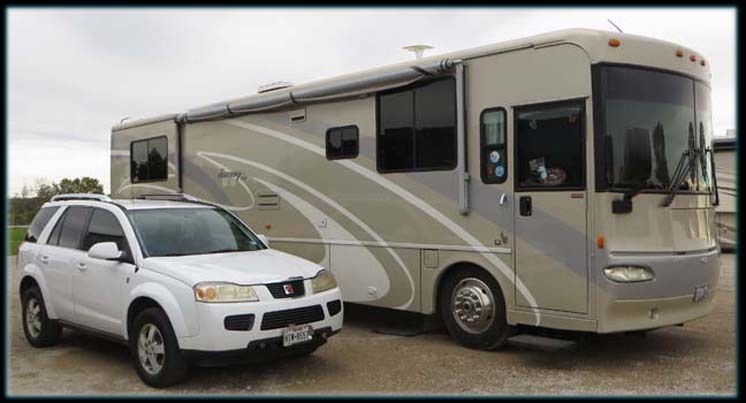 Welcome to our website - Full-time RVers for 18 years, we keep our family informed about the places we have been and who we have seen on our trips. The Search function on the Top menu can be used to find the cities or states we have visited. Things have settled down somewhat. We flew to Atlanta overnight for Carolyn's memorial on April 6th. We had to be in Corpus Christi on the 8th for doctor visits which seem to be happening more and more frequently as we get older. Jack & Millie and Wayne & Sheila, longtime MILWIT friends (now Tiffin owners) were touring Texas, and we were able to meet them in Bandera for a long weekend before returning to Corpus Christi. Carolyn's obituary is now posted in the Obits section. 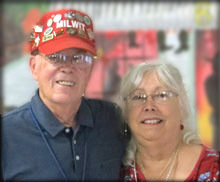 The slide show Terry created for the service is available on that page, but may not play on all browsers.